Caesars Entertainment Corp (NASDAQ:CZR) shares didn’t see a lot of action during the third quarter. Overall, hedge fund sentiment was unchanged. 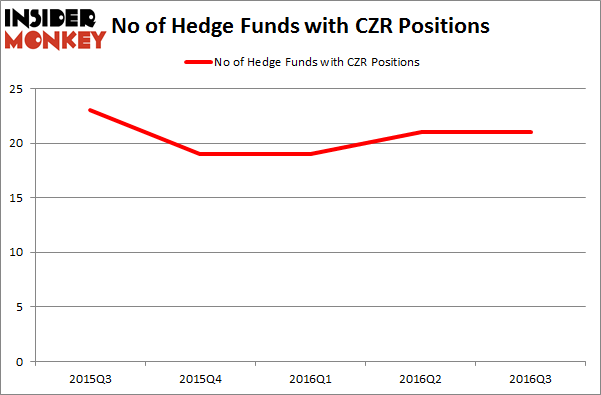 The stock was in 21 hedge funds’ portfolios at the end of the third quarter of 2016. At the end of this article we will also compare CZR to other stocks including Golar LNG Partners LP (NASDAQ:GMLP), DeVry Inc. (NYSE:DV), and TowneBank (NASDAQ:TOWN) to get a better sense of its popularity. 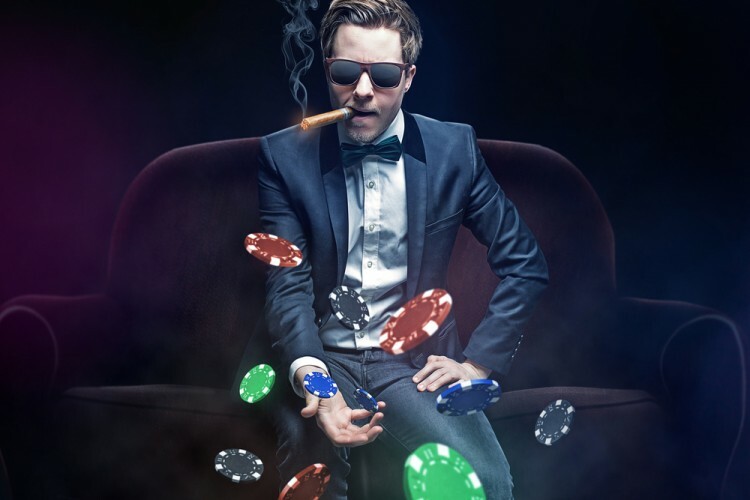 How have hedgies been trading Caesars Entertainment Corp (NASDAQ:CZR)? Heading into the fourth quarter of 2016, a total of 21 of the hedge funds tracked by Insider Monkey held long positions in this stock, unchanged from the second quarter of 2016. After a steep dip in ownership in Q4 2015, it’s remained relatively flat since. With the smart money’s sentiment swirling, there exists a select group of notable hedge fund managers who were boosting their holdings substantially (or already accumulated large positions). According to publicly available hedge fund and institutional investor holdings data compiled by Insider Monkey, John Paulson’s Paulson & Co has the largest position in Caesars Entertainment Corp (NASDAQ:CZR), worth close to $107.4 million, accounting for 1.2% of its total 13F portfolio. Coming in second is Mason Capital Management, led by Kenneth Mario Garschina, holding a $53.6 million position; the fund has 4.6% of its 13F portfolio invested in the stock. Other hedge funds and institutional investors that hold long positions consist of Doug Silverman and Alexander Klabin’s Senator Investment Group, George Soros’ Soros Fund Management and Matthew Knauer and Mina Faltas’ Nokota Management. Gigamon Inc (GIMO): Are Hedge Funds Right About This Stock? Hedge Funds Are Bearing With Fortress Investment Group LLC (FIG) Have Hedge Funds Uncovered A Hidden Gem in Gogo Inc (GOGO)? Hedge Funds Are Buying Ironwood Pharmaceuticals, Inc. (IRWD) PixarBio Corp (PXRB), Bullied Down But Far From Out FCB Financial Holdings Inc (FCB): Are Hedge Funds Right About This Stock?